Kohler Engines of Kohler, Wis., is recalling about 24,000 Kohler gasoline engines. The engines have a faulty fuel cap, which can allow over-pressurization in the fuel tank, posing a risk of a fuel leak and fire hazard. 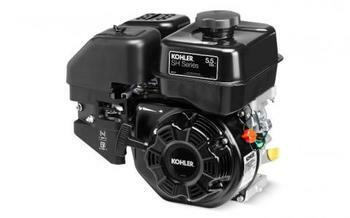 This recall involves Kohler gasoline engine models SH265, CH245, CH255, CH270, CH395, CH440, and ECH440. The engines are used in a variety of outdoor power equipment including log splitters, generators, wood chippers, stump grinders, pressure washers, water pumps and snowbrushes and were also sold separately. Model numbers, spec numbers, serial numbers, and build dates are printed on a silver label attached to the lower-right side of the engine. The engines, manufactured in China, were sold at authorized Kohler and original equipment manufacturers, distributors and dealers and online at www.HomeDepot.com and other websites in December 2017 for between $625 and $4,950 with the product and for between $260 and $690 sold separately. Consumers should immediately stop using products with the recalled engines and contact Kohler to schedule a free repair. Kohler is contacting all known purchasers directly. Consumers may contact Kohler Engines toll-free at 877-333-3948 from 8 a.m. to 5 p.m. (CT) Monday through Friday, by email at EngineFieldService@kohler.com or online at www.kohlerengines.com and click on “Contact” for more information.